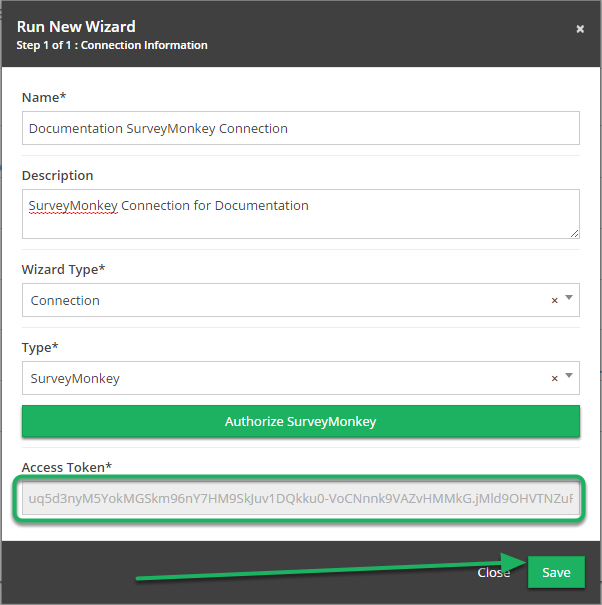 Documentation and SupportReleases Okra Release Notes 2016-09-24SurveyMonkey Connector Now Available. Use this new Connector to pull metrics from survey respondents created with SurveyMonkey. 1. 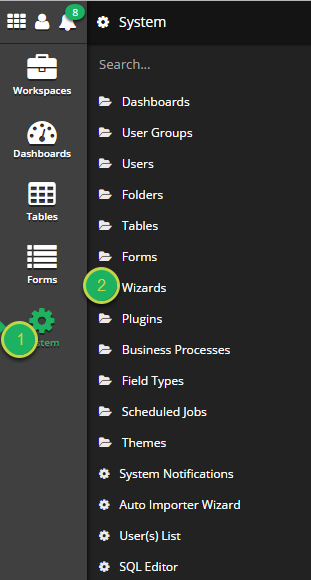 Navigate to the Wizards System Tools. 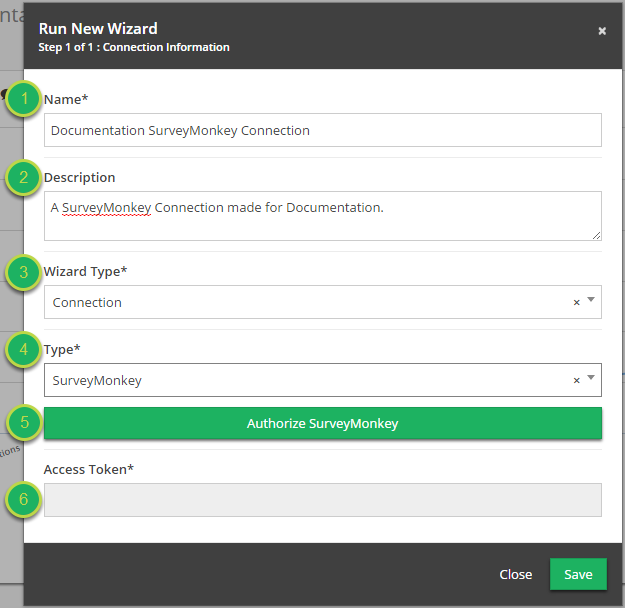 First we need to create a new SurveyMonkey Connection Wizard. 3. Fill out the 'Run New Wizard' modal information. Name: The name to assign to this Connection. Authorize SurveyMonkey: Press this button to authenticate with SurveyMonkey and receive the Access Token. Access Token: The unique identifier assigned to this Connection by SurveyMonkey. Click the 'Authorize SurveyMonkey' button to continue. 4. 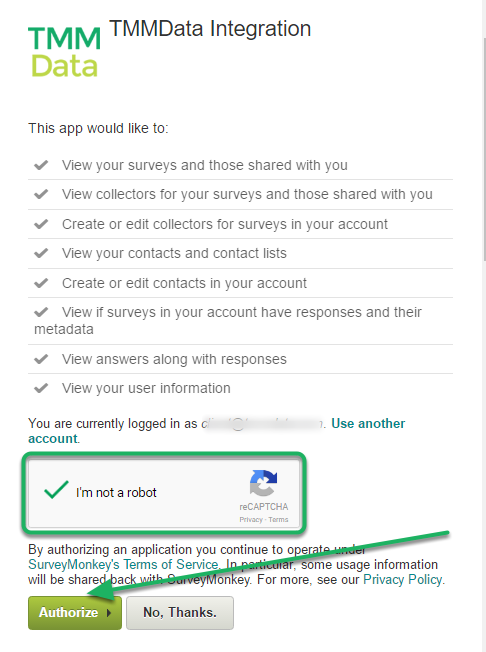 Authenticate with SurveyMonkey and Authorize the Connection. 5. The 'Access Token' should now be filled in. Prev: Share Charts via URL. Next: S3 Connector Now Available.